California police have arrested a woman who posed as a real estate agent in order to swipe tens of thousands of dollars in deposit money from homebuyers. Police in the Fresno area said several homebuyers came to them with a similar story: a woman named Maria Flores-Morales, 39, came up to them and offered help buying a home. She would show the buyers, many of whom were undocumented immigrants, the outsides of pre-foreclosure homes that were still occupied. 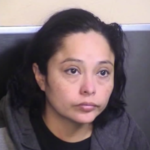 While the actions took place between September 2017 and February 2019, Flores-Morales has been arrested for grand theft and theft by false pretenses on Sunday. She left jail after making bail and is set to appear in Fresno court later this month. Over the years, various real estate scams have targeted both homebuyers and agents. Experts recommend double-checking any transfer, sale or contracts before handing over money. Article image credited to Carl ballou/Shutterstock.com.